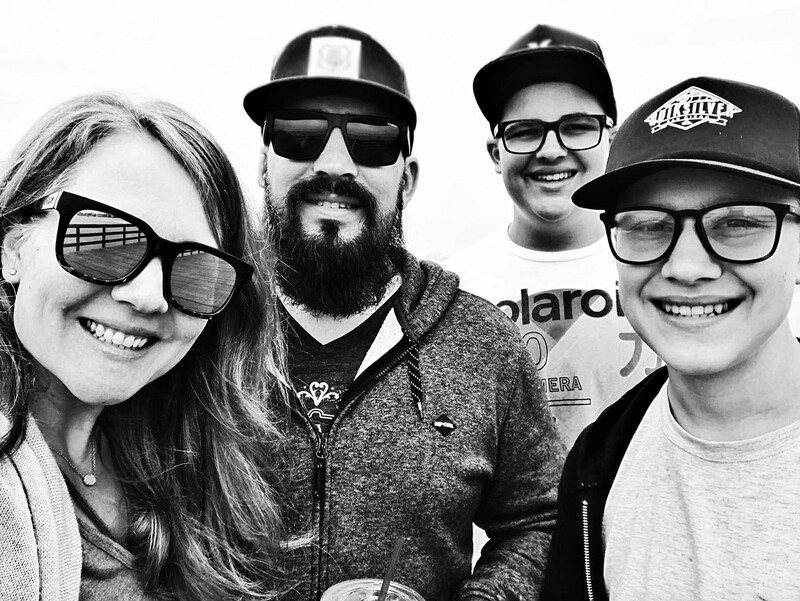 Our family loves Shark Week, and we’re super excited that it’s almost here. 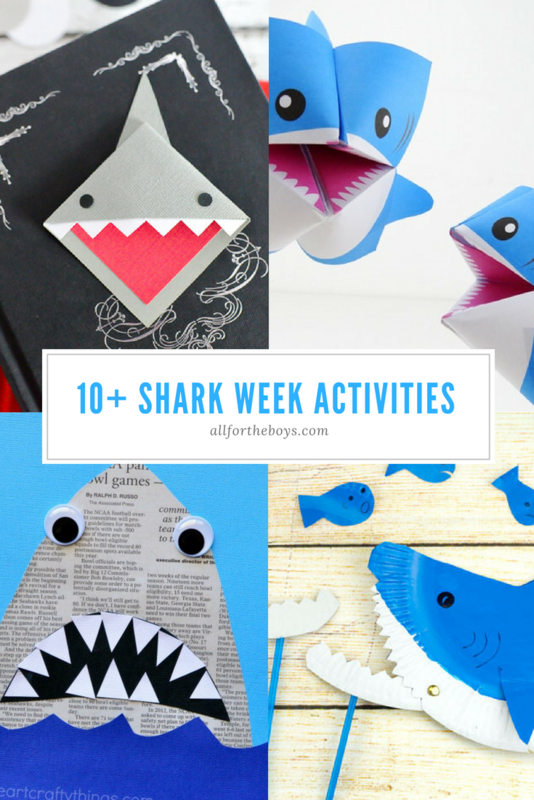 Obviously with Shark Week coming up that means lots of shark related activities and crafts. 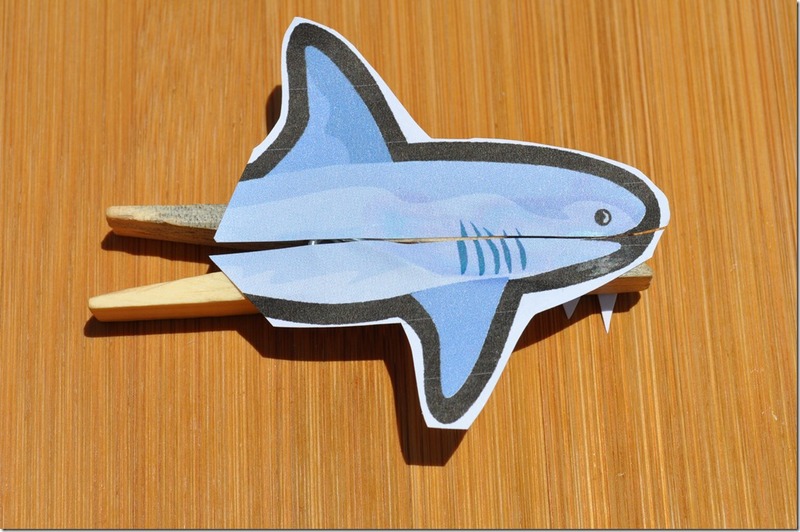 We have made some of our own cool shark crafts and activities, like these printable shark fin toothpicks for food decorating, and this fun printable shark tooth game. 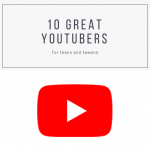 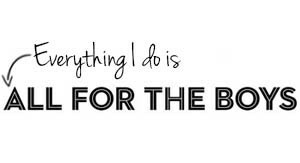 While we do have those, there’s always lots of other fun stuff from other blogs. 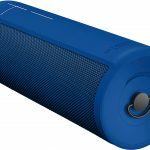 Here are a few of our favorites to keep kids occupied, engaged, and entertained with shark related fun. 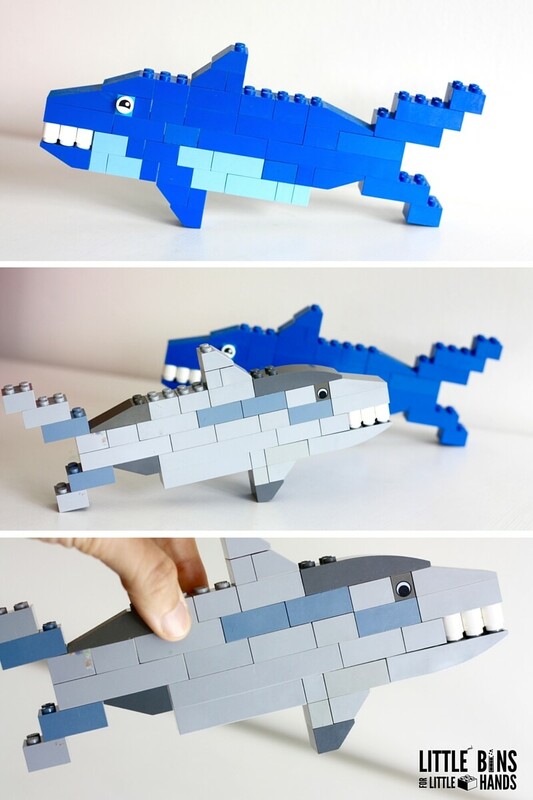 Here’s a super awesome Lego shark tutorial from Little Bins for Little Hands. 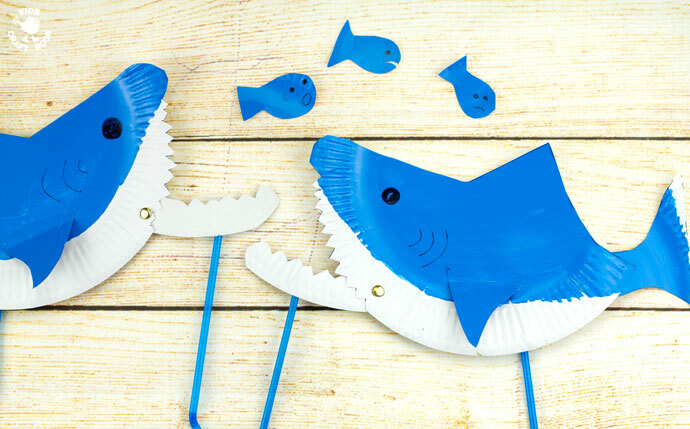 These cool clothespin sharks at The Seasoned Mom are also fun to make and play around with. 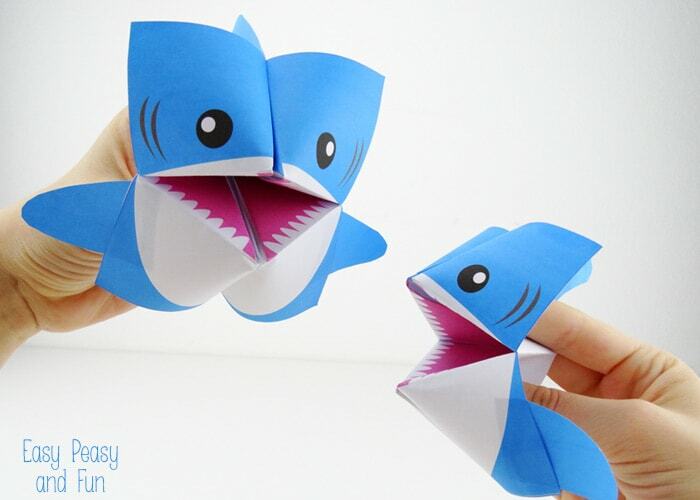 As well as these bigger, more articulate shark puppets at Kids Craft Room that can move it’s mouth and body. 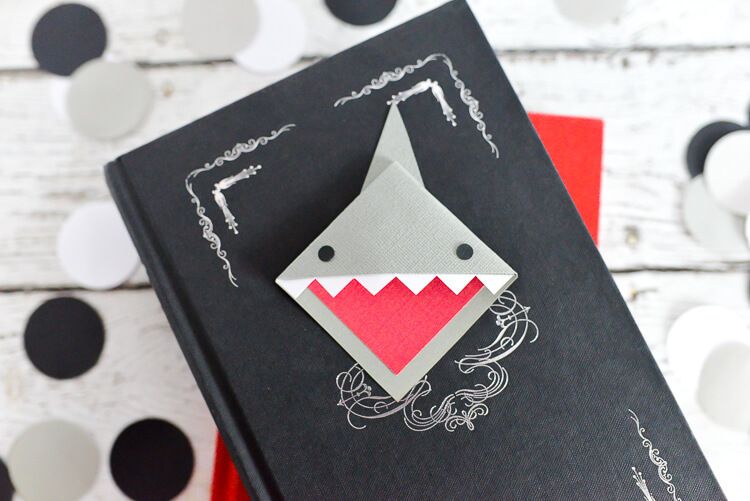 And over at Hey Let’s Make Stuff they have these origami shark bookmarks if you have a shark fan who loves reading. 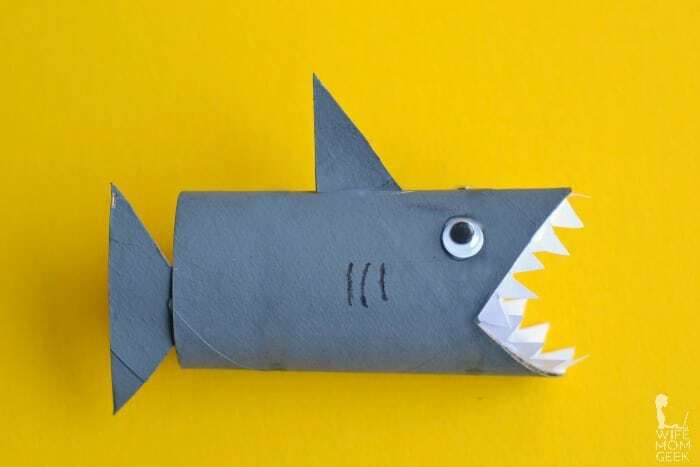 Another fun shark origami project, this printable origami shark cootie catcher is awesome from Easy Peasy and Fun. 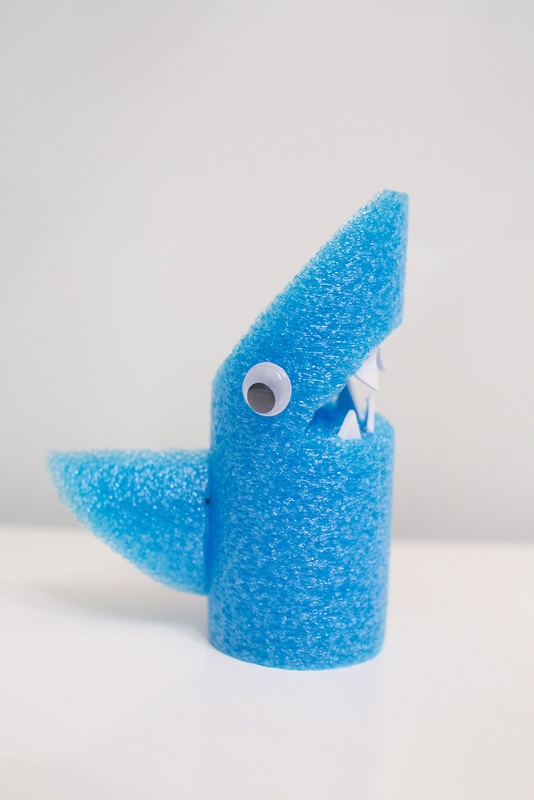 Also, using toilet paper rolls, paper, and some googly eyes if you’d like, you can make these fun toilet paper roll sharks at Glue Sticks & Gum Drops. 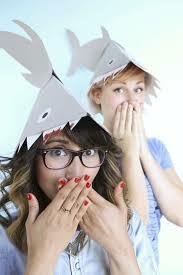 For something to wear during shark week, there’s these silly foldable shark hats from ModCloth Blog. 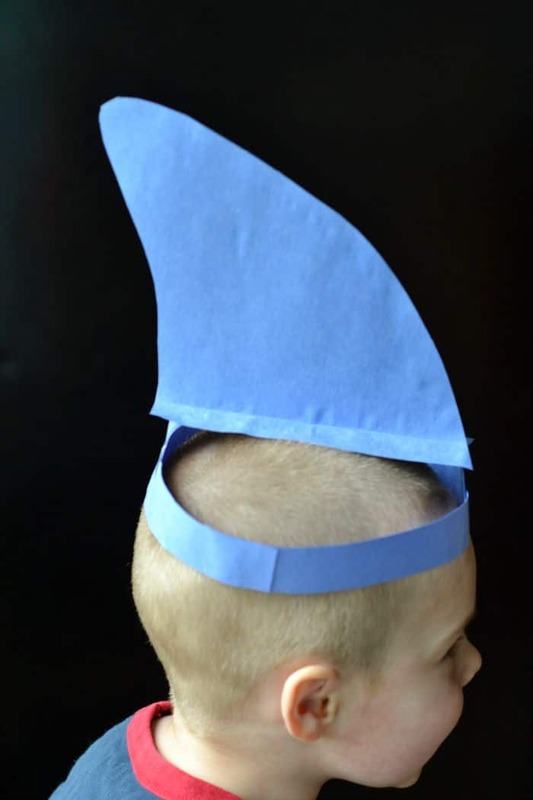 There’s also an alternative shark hat with a just a fin by Glue Sticks & Gum Drops. 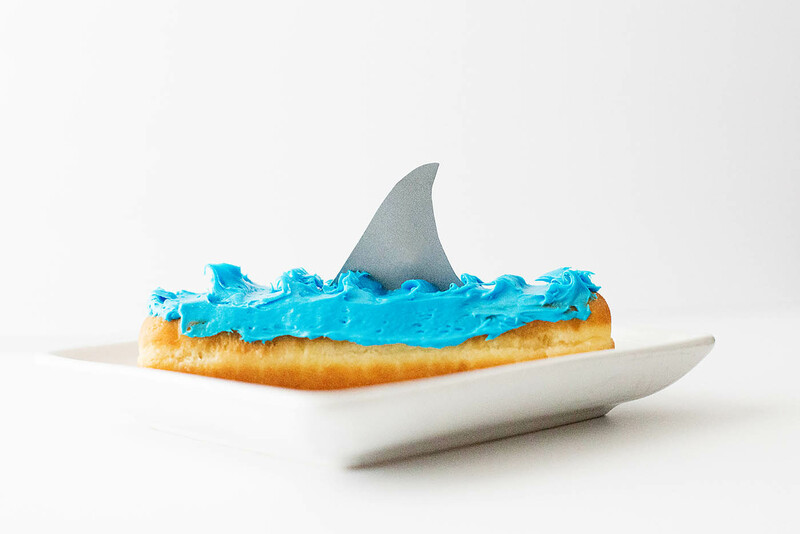 For another craft or birthday party decoration, these pool noodle sharks are perfect from Sengerson. 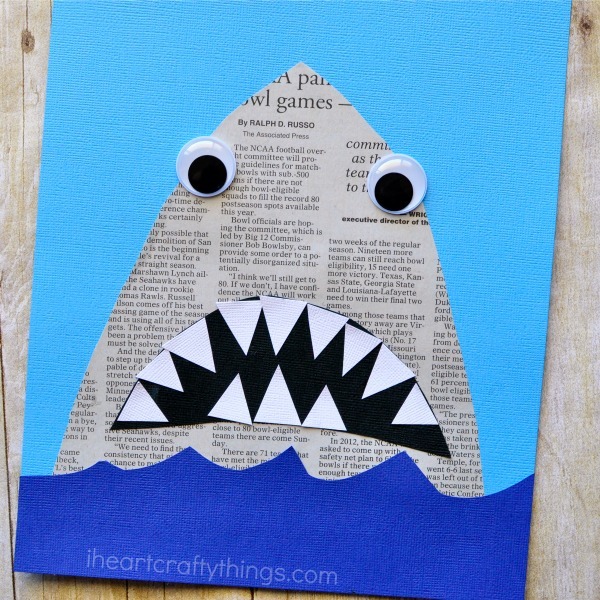 And lastly, here’s an easy art project that uses old newspapers to make sharks at I Heart Crafty Things. 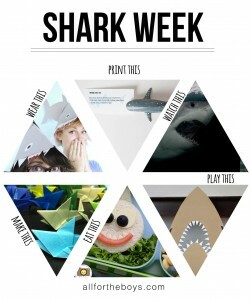 Like I said before we love Shark Week in our house, and we can’t wait for it soon. 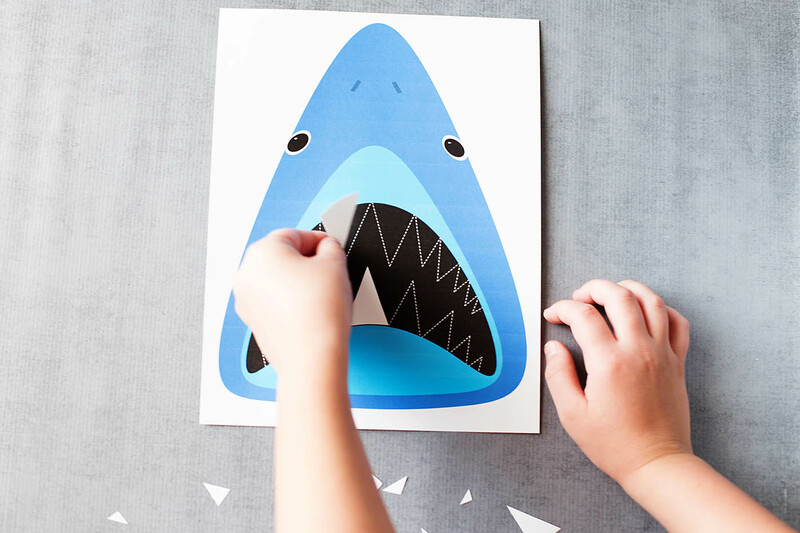 Hopefully we were able to provide you with some fun shark related crafts and activities to engage kids during Shark Week.